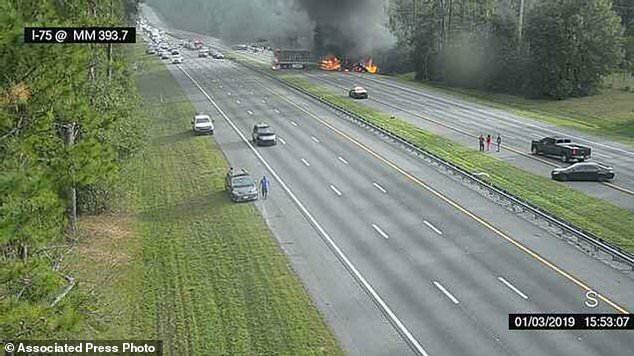 At least seven people have been killed and eight more injured after a huge fuel spill on the Interstate 75 in Florida sparked a massive fireball following a crash between four vehicles. 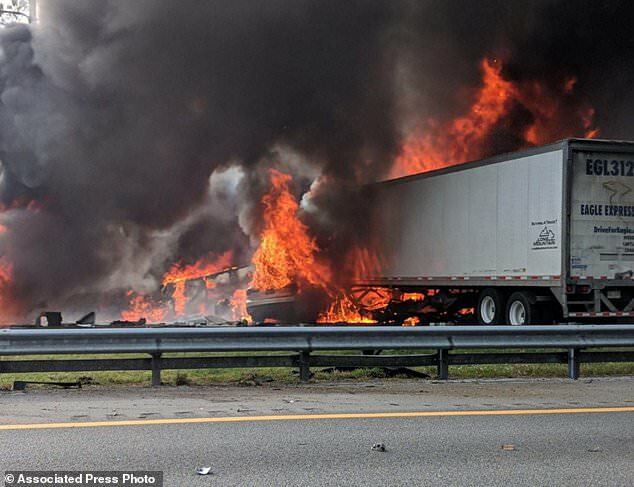 Two big rigs and two passenger vehicles collided spilling 50 gallons of diesel across the Florida highway, sparking the blaze that killed seven. 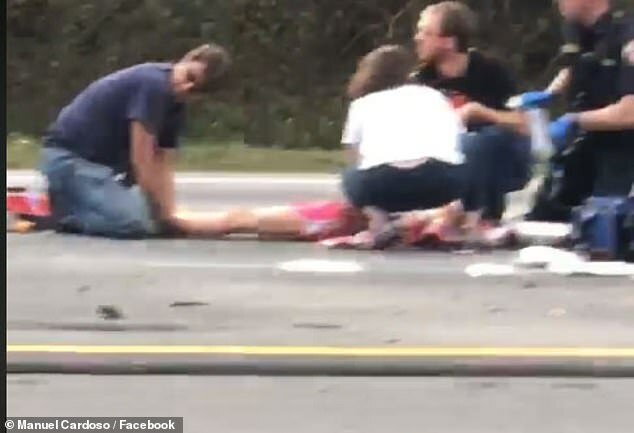 Some of those caught up in the crash are thought to be a group of children who were heading to Disney World. 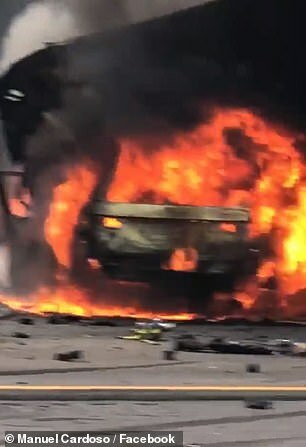 Horrifying footage from the scene showed the huge fire engulfing several motors and it was so intense the flames damaged parts of the road around a mile south of Alachua, near Gainesville. Eight other people were taken to the hospital, some with critical injuries, according to reports. Emergency crews extinguished the fire and said they were treating the crash as a homicide investigation. Two tractor trailers, a van and a midsize sedan were involved in the mid afternoon crash. 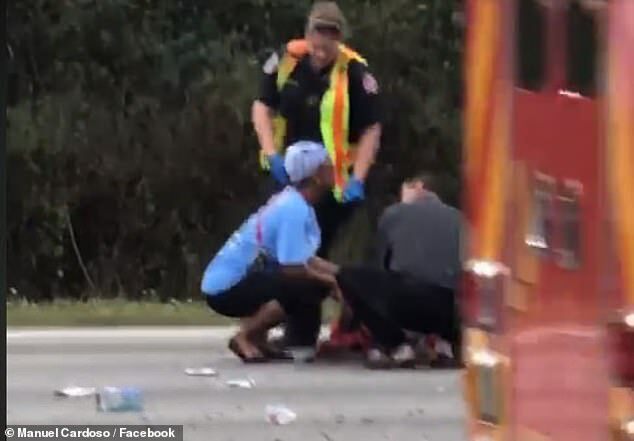 Alachua County Sheriff’s spokesman Art Forgey said they were working to verify dispatch records which indicated on vehicle carried a group of children who were heading to Disney World. Others had been traveling with the same group but were not involved in the accident, according to reports. 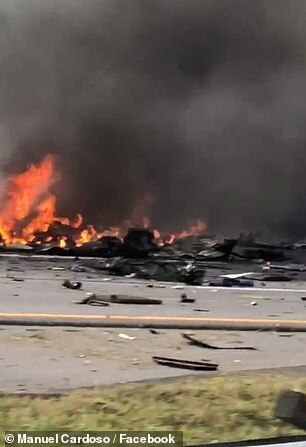 The Gainsville Sun reports five of those who died were in the passenger van and one was in one of the crashed tractor-trailers. It is not known of they were the driver or a passenger. Authorities said debris, including personal property and vehicle parts, were left scattered across the road. He said it is unclear whether the victims were killed in the wreck or whether they burned in the fire, which would make identification more difficult. Lieutenant P.V. Riordan told NBC News: ‘There was significant damage with the two tractor trailers and with that much abrasion, I’m not surprised that we had a fire. The horror crash, in the northbound lanes, closed part of the highway in both directions and caused major delays. 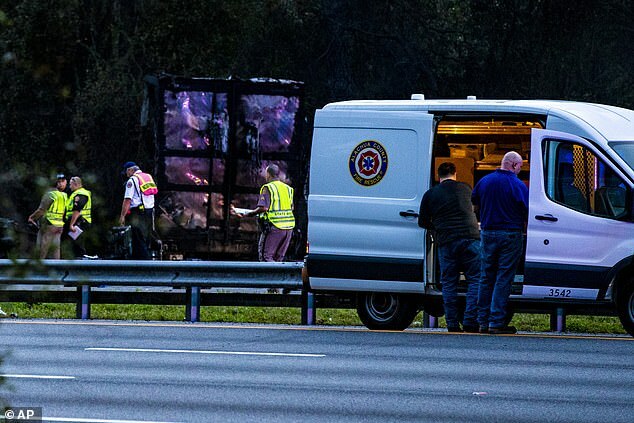 Southbound lanes were also closed to keep a route open for first responders, according to the Alachua County Sherriff’s office.